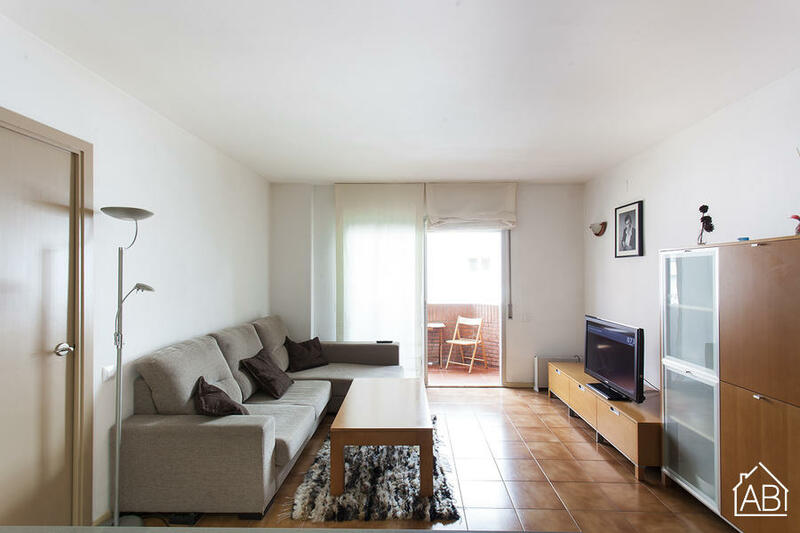 This is a comfortable one bedroom apartment the quiet Sarrià-Sant Gervasi neighbourhood. This is an area with plenty of green spaces and fantastic places to dine out. Choosing an apartment in Sarrià-Sant Gervasi gives you the perfect opportunity to escape the hustle and bustle of the city centre, while allowing you access to all of the main sightseeing hotspots in the capital by metro, bus and tram. The apartment is ideal for couples, as it has one bedroom with a double bed, and the bathroom is an en-suite. This apartment has a fully equipped kitchen, where you can prepare all your favorite dishes, as well as a balcony with table and chairs, where you can relax and enjoy your morning coffee ´al fresco´. In the living room you´ll find a comfortable sofa and a TV, where you can feel at home. The apartment comes complete with heaters and a washing machine for your convenience, as well as a WiFi connection, perfect for working or studying at home.